It's time for a script font with magical appeal. Think island. Think orient. Or for some, the magic is real. It's voodoo! Voodoo Script! We'll give you this limited example of Voodoo for free, but if you opt for our commercial version, it will arrive with 14, 000 kerned pairs and over 45 alternate characters and ligatures! 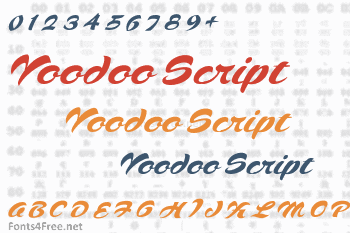 Voodoo Script font contains 224 defined characters and 88 unique glyphs. 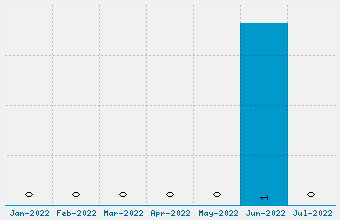 The font contains characters from the following unicode character ranges: Basic Latin (93), Latin-1 Supplement (96), Latin Extended-A (8), Latin Extended-B (1), Spacing Modifier Letters (4), Greek and Coptic (1), General Punctuation (15), Currency Symbols (1), Letterlike Symbols (1), Mathematical Operators (1). 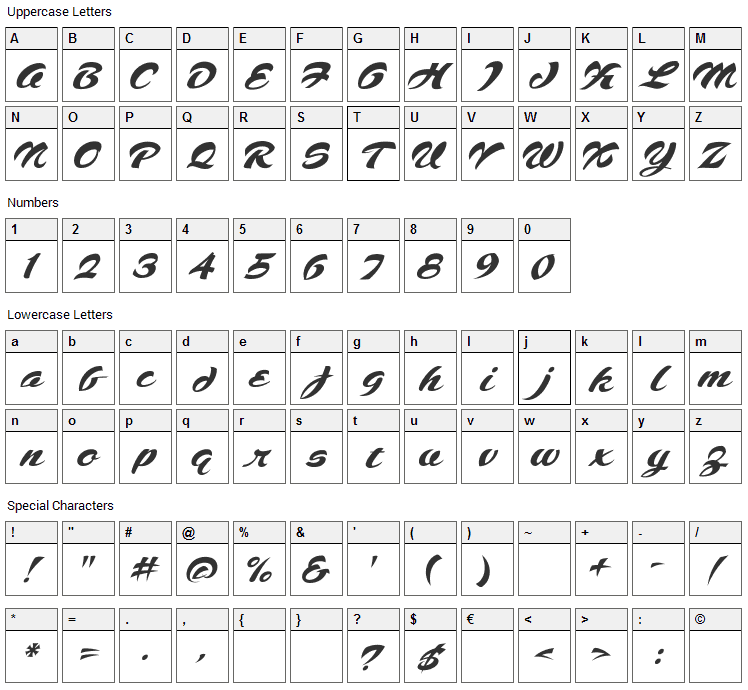 Voodoo Script is a script, various font designed by Fontry. The font is licensed as Free for personal use. You can download and use the font free for personal projects. For commercial projects please refer to the license file in the package or contact the designer directly from thefontry.com.